Water damage is probably one of the most common and potentially disparaging issues a property owner can face. Excessive water in your commercial property can cause a ceiling leak or electrical problems, compromise structural integrity, damage valuable items, and even harbor hazardous microbial activity. Water damage is persistent, progressive, and can lead to permanent damage if commercial restoration services are delayed. Whether it’s caused by burst pipes or flooding, water damage requires immediate attention to avoid further destruction to your property. 911 Restoration of Ventura County can solve your water woes immediately. 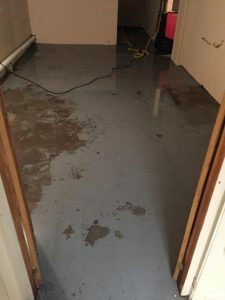 Available 24/7, we provide same day service and can arrive within 45 minutes of your initial phone call to start flood damage repair immediately. 911 Restoration is the area’s leading flood cleanup experts in the Ventura region. Our professional technicians are equipped with dehumidifiers to quickly dry and clean your home. Our extensive experience with flood restoration ensures that you are able to minimize additional property losses as a result of water damage. Not only does 911 Restoration of Ventura County solve your flooded property issues, we also specialize in all types of commercial restoration. 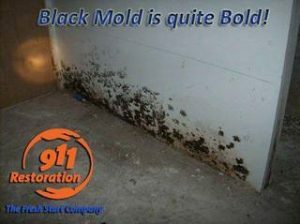 From mold removal to smoke damage, we do it all! Fire and water damage can take an out sized bite from your business. Don’t let Mother Nature drag your commercial property down. 911 Restoration of Ventura County can ensure that your business never misses a beat, regardless of what happens to it. whimsical scheduling of another emergency restoration company. We work around your schedule, not the other way around. Our seasoned crew is licensed, insured, bonded, and properly trained to handle anything thrown their way during a commercial restoration job. 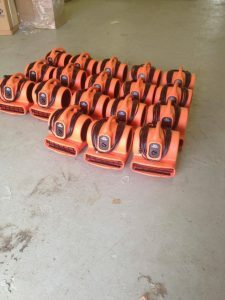 Whether your commercial property has been the victim of carpet water damage, smoke damage, or simply needs a crawl space clean out, 911 Restoration has adapted an innovative fresh start attitude, honing in on the positive in even the direst situations. Our goal is to not only fix your property and bring it back to tip-top shape, but also to make you grin again. We’ll thoroughly assess your commercial restoration project and implement a plan that enables our mitigation and restoration efforts to go on even while your commercial property remains open to the public and your employees. At 911 Restoration of Ventura, commercial restoration isn’t just a job – it’s a passion. We’re here to lend a hand when times get tough. Our compassionate crew understands that these times can be tough for a commercial property owner. That’s why we’re just a phone call away and offer our exceptional services 24/7, 365 days per year. If you need commercial restoration services, call 911 Restoration of Ventura County today. We will arrive immediately to clean and restore your commercial property. Best of all, our friendly team will help you to see the bright side, giving you options on how to make your property better than ever. We aren’t just your typical commercial restoration company. If your commercial property has been the victim of water or fire devastation and you need commercial restoration services with a caring touch, contact 911 Restoration of Ventura County today. We look forward to helping you take care of your property.